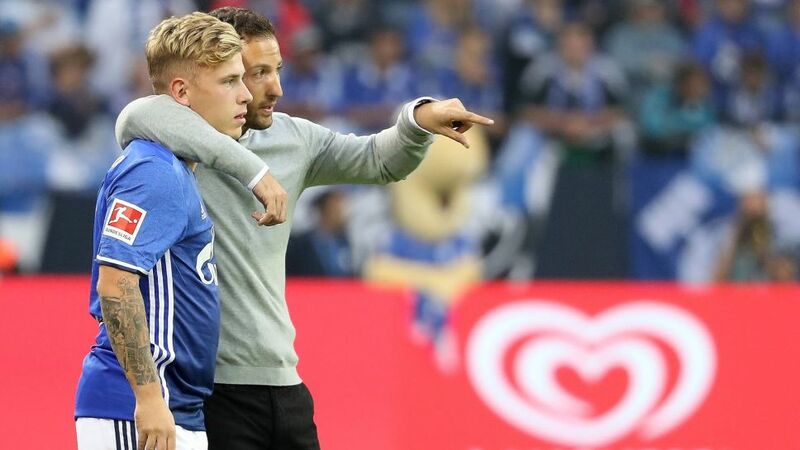 Where once his creative gaze was fixed on picking out the perfect killer pass high up the pitch, these days Schalke’s Max Meyer is digging deeper for an upwardly mobile Miners side that sit third in the Bundesliga standings. The Domenico Tedesco revolution may still be in its early stages, but Die Knappen’s improvements on last season are already notable. As many as nine points better off now compared to a year ago and honing in on a return to European competition, the changes made under new coach Tedesco are reaping impressive rewards. Now playing in a much deeper lying midfield role and carrying out a far different set of instructions to what he was previously used to, the 22-year-old Meyer is one of those to feel the tactical hand of wise overseer Tedesco. Excelling in his new-found defensive duties, Meyer’s positional journey follows a similar path to one taken by recently retired Italy supremo, Andrea Pirlo. During his early years at Brescia, the former AC Milan, Juventus and New York City great was asked by coach Carlo Mazzone to revert to a spot just in front of the back four. It was the move that built a footballing legend and an example that Meyer can look to as he continues with his admirable progress in Germany's top division. "I hadn’t played in [my current] position previously as I always had more of an offensive role," the 2017 UEFA European Under-21 Championship winner with Germany said. "I’m playing more defensively now and have to win more tackles as a result, but that’s exactly what I’ve been working on [and] it’s been working out quite well." Putting in an impressive 8.3 miles during the recent victory in Stuttgart, Meyer outran every player on the pitch at the Mercedes-Benz Arena. With just eight misplaced passes out of 41 made and 60 touches, it was the Oberhausen native’s 11 winning tackles that will have impressed his coach all the more. "We are strong at the back and clinical in front of goal lately [and] we are trying to take full advantage of that strong defence," Meyer told Schalke's official website. "We almost always score and with that in mind, if we don’t concede, we win!" And with the four-time senior Germany international revelling in his position in front of a three-man central defence, flanked by roaming full-backs, Schalke appear to be clicking and in all the right places as they set their sights on a top-four finish. "The league is very tight and things could all look differently in just a matter of weeks so we must continue in the same vein and push on," Meyer said. "If we do that, we could be in and around the top of the table come the end of the season." Next up to take on Meyer and Schalke’s high-pressing, solid defensive side are improving Werder Bremen.